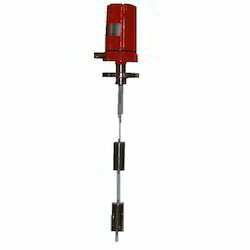 Leading Manufacturer of liquid level float switch, level switch, liquid level switches, displacer type level switches, displacer type level switch and float level switch from Vadodara. 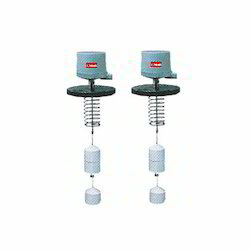 We have established ourselves as leading name of Liquid Level Float Switch in the market at present. These are specially designed to encapsulate permanent magnets inside them. Being compact in size these are used in small tanks and equipment. Hermitically sealed reed switches are enclosed inside the sensor stem, which are actuated by the magnetic floats. These are made available to the customers at industry leading rates. These products are provided as per the set industry norms and guidelines. These also traverse up / down or tilt outside or on one side of the sensor stem. 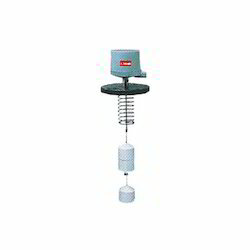 We have established ourselves as leading name of Level Switch. These are made available from our side as per the set industry standards and at extremely affordable rates as well. 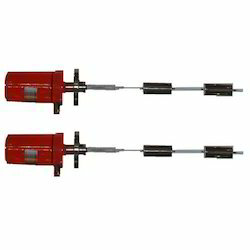 These have a micro contact gap and operate at the specified movement and force using a snap-action mechanism. They are available in models with split contacts, maintained operation, drip-proof specifications, high capacity, and DC current specifications. We always deliver our products on-time. 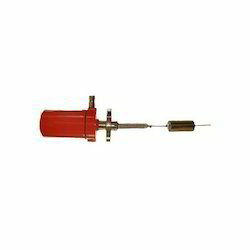 FLOWTECH Displacer Type Level Switch works on Force Balance Principle. Displacer is suspended by a spring. When liquid level rises and covers the displacer, it becomes lighter and the spring relaxes. This causes a small upward movement of the rod assembly inside the casing which activates the magnetically operated micro switch. Magnetically linked float & switch design providers a glandless Connection & ensure a leak free design. Mounting: Min. 50 NB to 300 NB. Ideal for Deep tank or Sump for low alarm. Two / Four displacers available for pump control. Works on force Balance Principle. Displacer is suspended by a spring. When liquid level rises and covers the displacer, it becomes lighter and the spring relaxes. This causes a small upward movement of the rod assembly inside the casing which activates the magnetically operated micro switch. 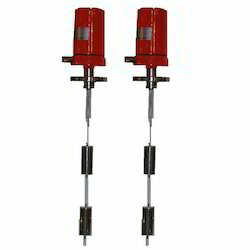 Two displacers available for pump control. A magnetized float moves with level in external chamber (cage) which is coupled with the tank. 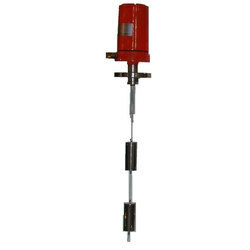 Magnetically coupled follower capsule or roller or ball indicates the liquid level externally. Reliable for aggressive, combustible, toxic, high pressure and high temperature (up to 150 degree liquid storage tanks. 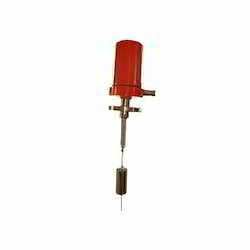 Suitable for Ethylene, Benzene, Toluene, Alcohols, Acids, Alkalies, Liquefied gases like NH3,Cl2,LPG,PCl3,so and poisonous/toxic liquid like DMA, TEA etc.High and low level switching can be offered in weather/flame proof housing on request. 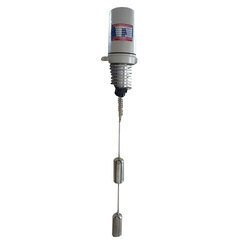 Magnetic Level Transmitter can be provided on request. Suitable for fitting into tanks or process vessels for controlling liquid levels for preventing tank overflow.To control dry pump running/ Solenoid Valve.Minimum 50 NB flanged to any size.Weather proof (IP-65) or Flame proof to IIA, IIB as per CMRS, Dhanbad approved.External cage on request. High Temperature (Max 350 degree) on request. These are specially designed to encapsulate permanent magnets inside them. These also traverse up / down or tilt outside or on one side of the sensor stem. Hermetically sealed reed switches are enclosed inside the sensor stem, which are actuated by the magnetic floats. Being compact in size these are used in small tanks and equipment.